Some people send more than 'just' a review! We thought we would share their fun stories with you. We welcome yours too. Woof! 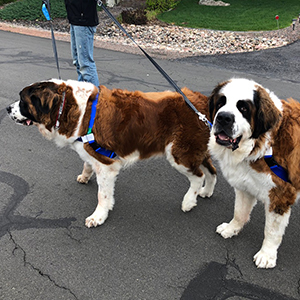 St Bernards are bred to pull carts. Now 1 person can walk 8 paws attached to 250 pounds of dog, simply and easily. 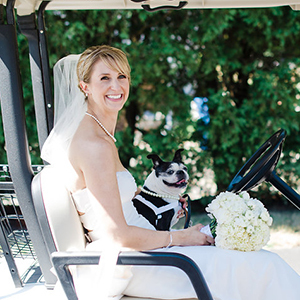 This is the sweet story of Marisa and her Maid of Honor Tessie. Take a look at these great wedding photos! 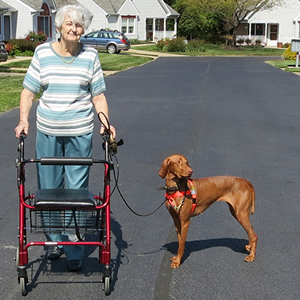 Jean's granddaughters can now walk her passel of Poodles with no hassles.